The germinal vesicle, indicated by the arrow, shows this egg to be in prophase I of the first meiotic division. 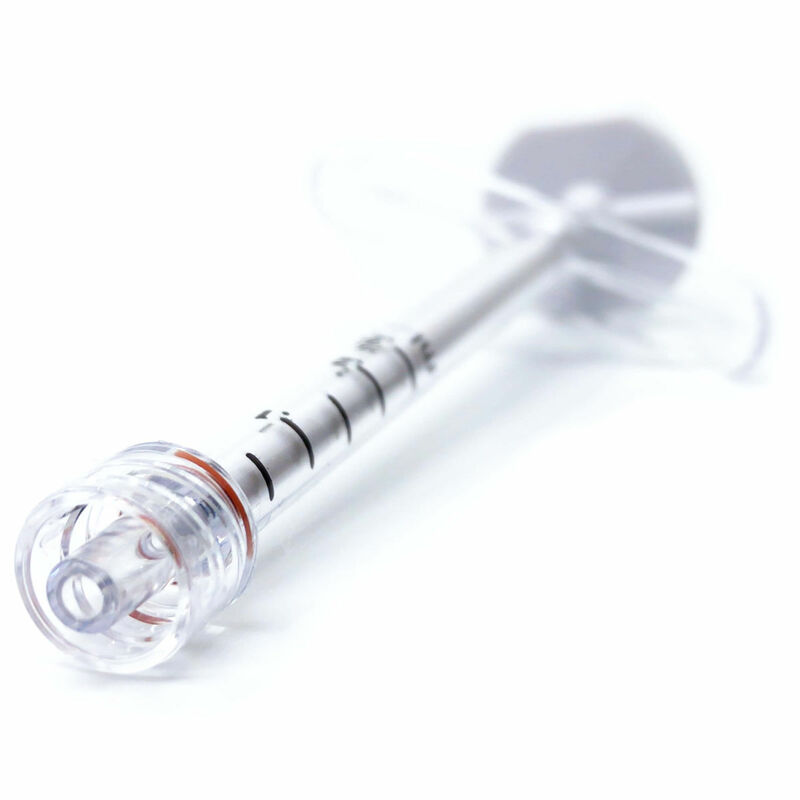 The germinal vesicle is no longer visable and a polar body has not yet been extruded. In these pictures we can clearly see a polar body as indicated by the arrow. 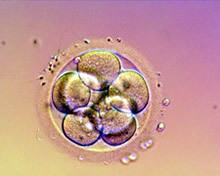 The polar body is a sign that the egg has reached metaphase 2 in it's development, and that the egg is mature and ready to fertilise with either conventional insemination techniques (adding sperm to the media surrounding the egg) or ICSI (injecting a sperm directly into the center of the egg). Below we can see a normally fertilised egg. The arrow indicates the two circles (pronuclei) containing small dots (nucleoli). One of the pronuclei contains genetic information from the egg the other from the sperm. It is thought that polarity of the pronuclei and even distribution of the nucleoli between the two pronuclei indicates the potential quality of the developing embryo. The pronuclei are usually checked between 16-18 hours after the sperm is added to the egg. The 2PN will eventually disappear with the union of two gametes this is known as Syngamy. The zygote is now on it's way to become an embryo. 24 hours after the 2PN were seen the embryo has already started to divide. 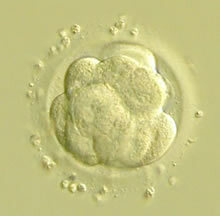 Blastomeres often divide evenly,although asynchonously, so it is not uncommon for embryos to have an odd number of cells and uneven blastomeres. We can also see various indicators of poorer quality in the embryo such as fragments or multinucliation of blastomeres. Approximately 72 hours after the eggs were first inseminated they will usually have reached around the 8 cell stage. In the IVF program it is common to transfer the best of the embryos from a treatment cycle back to the uterus at this stage. The embryo continues to divide, and there is increased cellular adhesion until the distiction between the blastomeres becomes difficult to see. The embryo at this stage is called a Morula. The morula will continue to develop and start to cavitate. 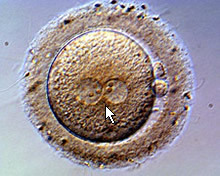 The embryo begins to turn into a hollow ball of cells known as a blastocyst. The blastocyst consists of two main parts an area denser with cells called the inner cell mass (ICM) which will eventually form the fetus, and the trophectoderm which will go on to be the placenta. 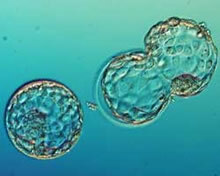 The picture shows two blastocysts, the one on the left is an expanded blastocyst, the one on the right has expanded and is hatching from the shell (zona pellucida) and is getting ready to implant. The language of explaining the things with images are excellent which makes very easy to understand. very good explination with clarity images,and it is easy to understand..